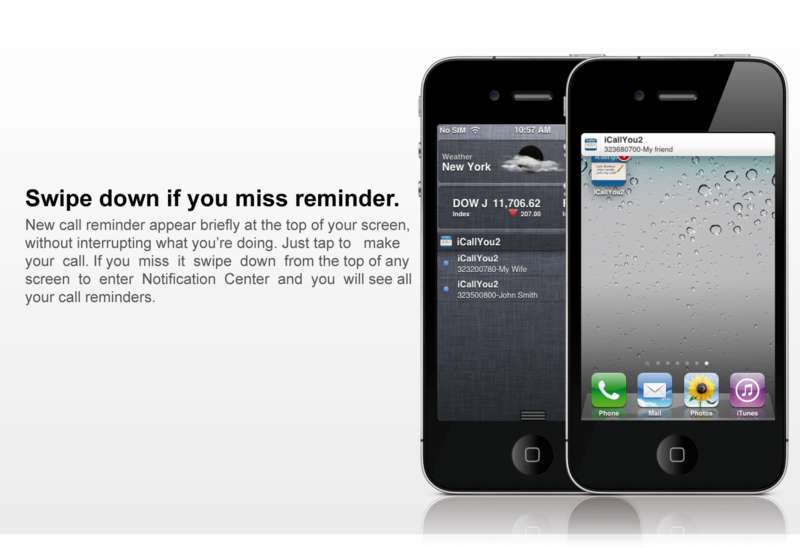 iCallYou2-Call Reminder is now compatible with all the latest features of power Notification Center that Apple introduced with iOs 5. 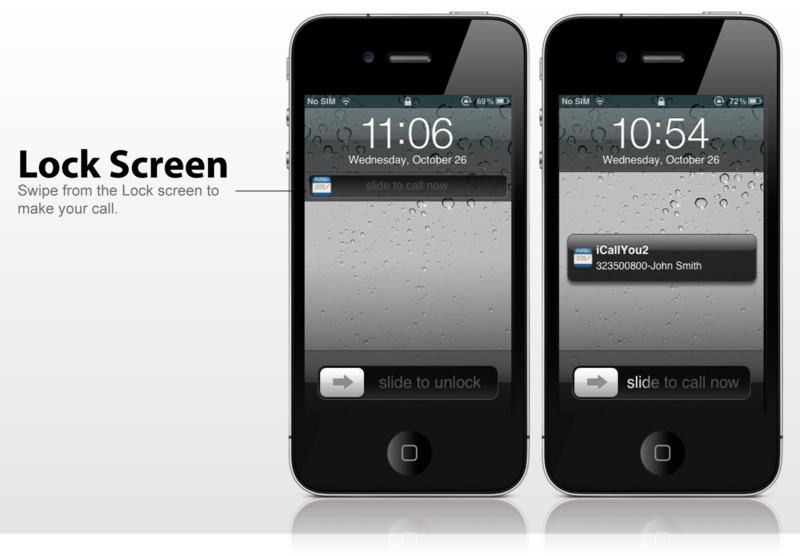 The latest iOs update with Notification Center advances the way iCallYou2 is used. 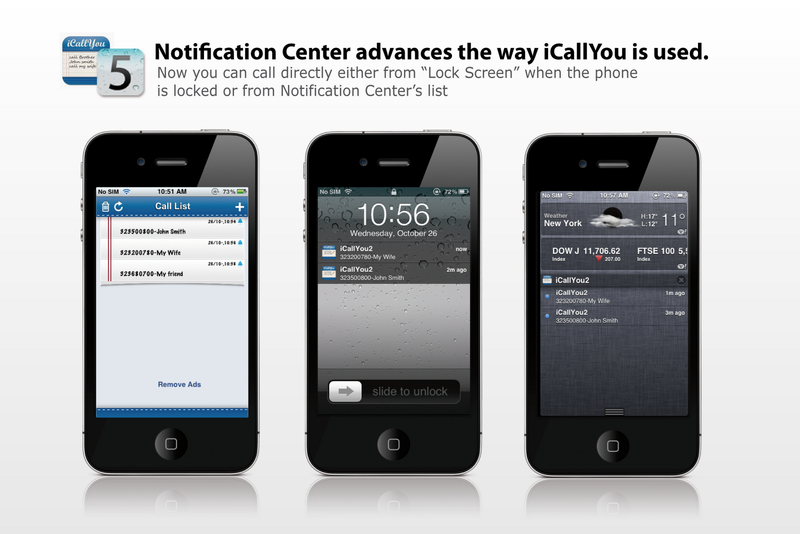 iCallYou2 uses the latest features of notification center with smart way.